For more information about volunteering, please e-mail batholavolunteers@gmail.com. Volunteers accompany the CCBN in its mission to empower individuals, especially women and youth, for social transformation through holistic education and artistic formation. What is the Centro Cultural Batahola Norte? 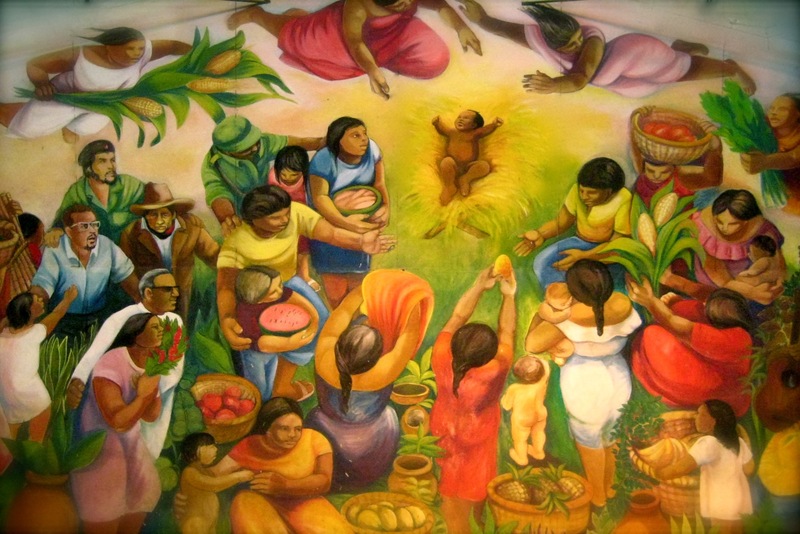 The Centro Cultural Batahola Norte (CCBN) was founded in 1983 by Sister Margie Navarro and Fr. Ángel Torrellas during the Contra War in Nicaragua. The CCBN offers certified technical courses, arts programs, violence prevention programs, scholarships, and a community library. Over 1,000 students enroll in 20 courses every year. Volunteers seek to accompany the Centro Cultural Batahola Norte in its mission of empowering women and youth for social transformation. Volunteers dedicate themselves to the development of their spirituality and social consciousness through their community life. Accompaniment: Batahola Volunteers strive to live and work in solidarity with the Nicaraguan people by opening themselves to listening, learning, and sharing with community members. Social Justice: As collaborators with the CCBN, Batahola Volunteers become a part of the action-reflection cycle that leads to social change. We support the CCBN’s initiatives of women and youth empowerment, while endeavoring to lead a simple, sustainable lifestyle. Spirituality: Batahola Volunteers seek to share and explore spirituality together and with the larger community through participating in local faith gatherings, self-led reflection, and retreats. Batahola Volunteers co-teach the adult English class and respond directly to other needs expressed by the CCBN, according to the individual volunteer’s skills and interests. – Being involved in community activities and classes, including Latin rhythms dance class, monthly community forums on violence prevention, weekly Mass, etc. Highly motivated young people committed to learning about and participating in social change for two years in Nicaragua! Friends of Batahola Volunteers (FOBV) welcomes women and men of all ethnic origins, gender, economic status, and sexual orientations. – Experience of at least 3 consecutive months living abroad, with a strong preference for those with experience in Latin America. The Centro Cultural Batahola Norte is an exciting and dynamic work environment. We encourage applications from candidates who can work well independently as well as collaboratively, are flexible, and have a strong commitment to social justice and their own personal growth.